The 2019 general elections have — as we’ve previously observed — brought out some extravagant and unlikely campaign pledges from local political parties. While much of the ANC’s manifesto is not new, the ruling party also gets in on the action when it comes to some big promises accompanied by minimal implementation detail. 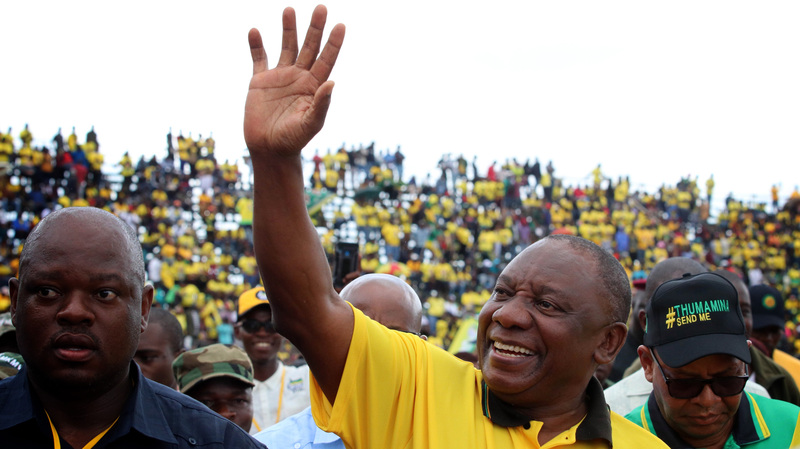 When the ANC’s election manifesto was released in January 2019, it was slammed by the DA for consisting of little more than “empty promises” — a claim denied by the ANC, with Gwede Mantashe saying that “if you go through the economic section of the [manifesto], we went into details on what we are going to do”. But implementation details are thin on the ground in the document. The party came in for particular criticism of its ambitious (but not ambitious enough) jobs target, at 275,000 new jobs a year. Other aspects of the party’s promises to voters have received less attention, however. Here follows a closer look at a few. An ANC government will ‘allocate at least 30% of the government’s procurement spend to small businesses and co-operatives’. With government’s procurement spend currently sitting at around R800-billion a year, this would amount to a healthy R240-billion channelled towards small businesses and co-operatives. But the problem is that, as things stand, the state procurement process is so ripe for abuse that National Treasury doesn’t even know where all the money goes. This was admitted in August 2018 by acting Chief Procurement Officer Willie Mathebula, testifying before the Zondo Commission. In order for that 30% to have the intended economic impact, rather than merely flowing into the coffers of the politically connected, a drastic overhaul of the current procurement system would need to take place first. By 2024, all undergraduate students will be fully funded by NSFAS (the National Student Financial Aid System). In January, the World Bank warned that the provision of free tertiary education in terms of the government’s current model was financially unsustainable. It said that the prospect of doubling the numbers of students currently given access to free tertiary education through NSFAS would likely prove “elusive” by 2030 — let alone providing “all” undergraduate students with free tertiary education by 2024. “In a fiscally constrained environment, it will be critical that the government’s higher education policy does not impose unnecessary burdens on the national budget,” the World Bank said. It proposed that the South African government instead give consideration to a system of income-contingent loans — in other words, funding for tertiary education which would only be repayable if the recipient’s income after graduation reaches a certain threshold. There is no indication in the manifesto that the ANC is considering anything of this nature. The ANC government will reduce the cost of data through the work of competition authorities and the communication regulator, Icasa. The prohibitive cost of data in South Africa is one of the few issues that unites most citizens in outrage, so this is likely to be a popular pledge. The manifesto states that this will be possible in part due to licensing the “much-needed radio frequency spectrum” in 2019. A lack of radio frequency spectrum has indeed been cited by telecommunications companies as one of the reasons for South Africa’s relatively high data costs. But other reasons, according to a Fin24 special report in January 2019, include “high input costs such as labour, property, energy and company tax”; battery theft and vandalism; the cost of upgrading the network, and the hilly topography of South Africa. In other words, it may be optimistic to suppose that extending the radio frequency spectrum will result in magically lower data prices without stern regulatory intervention — an intervention that the government has shown little appetite for thus far. Yet the manifesto is full of big talk on the topic of clipping the wings of corporations. It claims elsewhere that the ANC government will curb the penetration of big retail chain stores into townships and villages, and “end the abuse of dominance by large vertically-integrated firms”, full stop. No details are supplied as to how President Cyril Ramaphosa’s business-friendly administration aims to achieve this. “We aim to connect all schools, public health and other government facilities through broadband by 2020, and at least 90% of our communities should have substantial and superfast broadband capacity by 2020”. 2020 is now less than nine months away, and the government is nowhere close to achieving that target. Indeed, by July 2018 only 187 sites had received the planned broadband rollout. Challenges have included a lack of infrastructure and budget. The ANC government will ‘work closely with the private sector to develop major development projects’ — which will include ‘building at least one new South African city of the future’. Building a new South African city is not as wacky as it sounds. The World Economic Forum reports that new cities are currently being built everywhere from Malaysia to Nigeria and Saudi Arabia. In 2015 it was reported that a private Chinese firm, Shanghai Zendai, was building an R84-billion city in Modderfontein, Gauteng. Projected to take 10 to 15 years to complete, it is intended to house 30,000 families and includes a central business district, schools, medical facilities and a library. The development’s website appears not to have been updated with news since 2016. There are four other “cities” underway in Gauteng. But the problem which inevitably arises from private sector-dominated projects is that they have a tendency to turn into upmarket housing developments rather than providing sustainable solutions to problems like urban overcrowding and housing shortages. “We’re trying to build a more integrated and inclusive city (Johannesburg), so it does become a challenge when these sorts of developments are done in isolation and when they don’t integrate different income groups”. The ANC government will ‘establish a state-owned pharmaceutical company as part of our programme to promote an affordable and reliable supply of medication’. “I am happy to announce that the state-owned pharmaceutical company, Ketlaphela, has been established. The company will participate in the supply of anti-retroviral drugs to the Department of Health from the 2016/17 financial year”. Ketlaphela grew out of an ANC resolution taken almost a decade earlier, at the Polokwane conference in 2007, but was hobbled for some time by its failure to draw investor interest. In 2018 it was reported once again to be touting for business partners to “share technical and manufacturing intellectual property”. With South Africa’s inglorious record of managing state-owned enterprises, there is a valid reason for concern when it comes to the life-or-death matter of, for instance, ensuring sufficient and timely production of the country’s ARVs. The ANC government will ‘work with other countries to ensure that there are incentives created for immigrants to stay in the borders of their own country’. This is one of the manifesto’s proposed solutions to the problem of illegal immigration. In terms of vagueness, it is right up there with the EFF’s manifesto pledge to “fight African leaders who want to stay in power forever”. What would such “incentives” be? An end to war? South Africa’s success in brokering peace in areas such as South Sudan has been decidedly limited. A drastic increase in financial aid from South Africa to other African countries? Good luck getting that past Treasury.